MILAN -- Fiat S.p.A. CEO Sergio Marchionne won concessions from workers in exchange for a 500 million-euro ($739 million) investment to build Maserati models at a former Bertone plant in Grugliasco, Italy. A program of increased work shifts and more flexible overtime won approval from 88 percent of the 1,011 workers taking part in the ballot, Roberto Di Maulo, a Fismic union representative, said. The workforce at the plant near Turin, which Fiat bought from bankrupt car-design company Bertone in 2009, totals about 1,100 employees. "This vote will allow for the revamp of one of Italy's most glorious car plants," Di Maulo said in a phone interview from Grugliasco on Tuesday. "Workers fought to save their company and their approval is also a symbolic event." Fiat plans to build the Maserati Quattroporte successor and a new midsized sedan at the plant. The mid-sized sedan will compete with Audi A6, BMW 5 series and Mercedes-Benz E class and is due in the fourth quarter of 2012. The new Quattroporte will launch in mid-2013. Total annual production of the two models is planned at 30,000 to 35,000 units at peak cycle. The labor agreement is the third in less than a year that Marchionne has reached as part of his strategy of raising productivity at Fiat's domestic plants. The program received a much bigger majority vote at Grugliasco than at the other factories after Fiom, the carmaker's largest union and the concessions' main opponent, told the plants' workers to approve the plan to preserve their jobs. "It's a very positive outcome," Giuliano Noci, a professor at the MIP Management School of Milan's polytechnic university, said before the announcement. "Unions finally understood that it's necessary to change the rules of the game to be competitive. This could become an iconic moment for the revamp of Fiat's production in Italy as well as the country's productivity." Fiat is the biggest manufacturer in Italy, whose competitiveness has waned in the last decade compared with Europe's other large economies. Productivity, a measure of employee output per hour, rose 0.5 percent in Italy from 2000 through 2008, lagging behind a gain exceeding 10 percent gain in Germany, according to Eurostat, the European Union's statistics office. The carmaker's 22,000 factory workers in Italy assembled 650,000 cars in 2009, compared with the 6,100 employees at its factory in Tychy, Poland, who built 600,000 vehicles. Without taking into account differences in models or working hours, that means productivity averaged 30 cars a year per Fiat employee in Italy, compared with almost 100 in Poland. Fiat "appreciates the great sense of responsibility demonstrated by employees at the plant," the carmaker said in an e-mailed statement, adding that it will proceed with the investment "once an agreement has been signed and the necessary conditions are in place." The labor agreements at all three plants include measures to limit strikes, curtail absenteeism and operate the factories on a six-day workweek. Marchionne has threatened to move production abroad if employees don't accept the new working conditions. "Marchionne highlighted a real issue, the productivity gap Italy has," Noci said. "We have to consider which role the country should have in the Fiat and Chrysler group. I think Italy should aim to become the hub for developing new products, more than assembling cars." 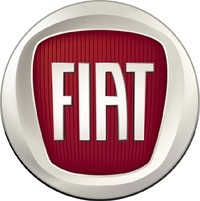 Fiat, which controls Chrysler Group with 30 percent stake in the U.S. automaker, is intergrating Fiat and Chrysler..
About 54 percent of workers at Fiat's factory in Turin's Mirafiori district approved the concessions in January in exchange for a 1 billion-euro investment. The program received 63 percent support in June from workers at Fiat's plant in Pomigliano, near the southern city of Naples. The Mirafiori plant is Fiat's oldest while the Pomigliano site is the least productive of its established factories. The Grugliasco plant hasn't been operating since Fiat acquired it. Fiom, which represents about 10,000 of the carmaker's 83,000 workers in Italy, sued Fiat in April at a court in Turin to challenge the labor agreement terms. The union's advice that employees at Grugliasco vote in favor of the concessions, even as Fiom still opposes the program, was "an act of legitimate defense of the workers," said Maurizio Landini, the union's chief. "They were under a dual blackmail, as Fiat was threatening to halt the investment and give back the plant to the bankruptcy administrator, which would have meant firing all the workers." Fiom has called a general strike for May 6 to protest against "Marchionne's authoritarian model." The union's lawsuit against Fiat is part of an effort to nullify the carmaker's move to create new companies to manage factories. Fiom says the strategy is anti-labor. Fiat returned to profit in 2010, posting net income of 520 million euros compared with a year-earlier loss of 838 million euros. Marchionne has said repeatedly that Fiat's Italian operations didn't contribute anything to profit. At the same time, the manufacturer has a budget to invest 20 billion euros in its home country, which remains its biggest market. Marchionne said on April 4 that he will give more attention to Fiat's European operations, which he acknowledged have suffered while he focused on integrating Chrysler. Fiat plans to take a majority stake in the Auburn Hills, Michigan-based carmaker this year.